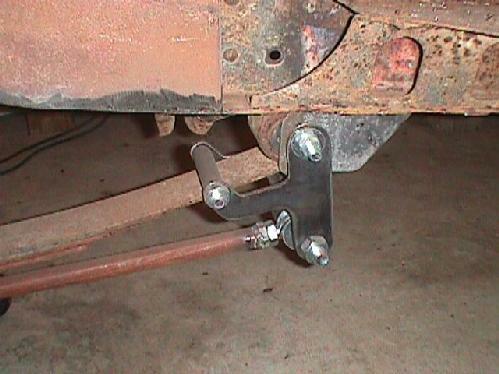 Build Effective and Inexpensive Traction Bars. 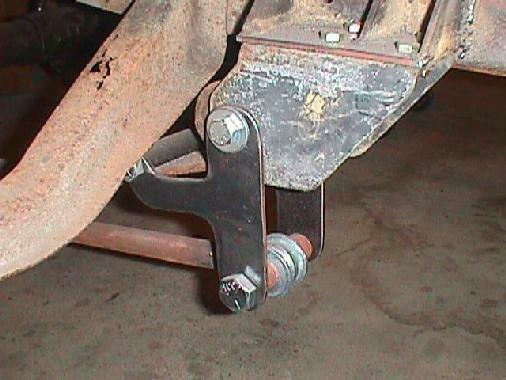 The following pictures show the "Caltrac" style traction bars I built for the truck. 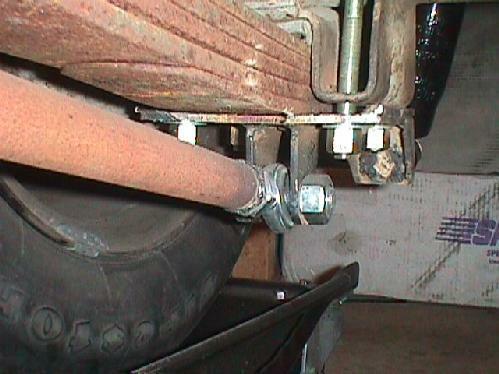 Since the rear springs on the truck are not designed for a rear wheel drive vehicle (Dodge Caravan) I know I will have some spring wrap problems under hard accelleration. Especially after talking with another individual who has been running the same type rear springs in his truck for many thousands of miles. 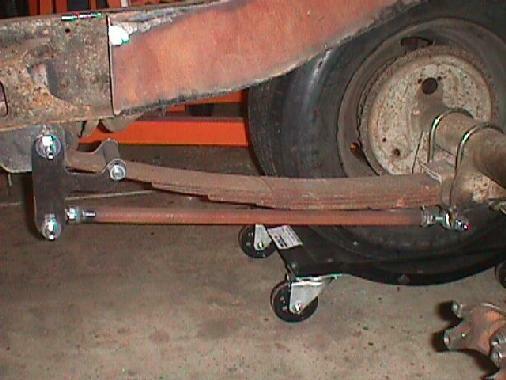 The solution he chose was to use conventional traction bars. Although effective they are big, combersome and in my opinion look out of place on almost anything but a muscle car. My solution was a bit different. After checking with some of the local drag racers I found a design that would be easy to duplicate, inexpensive and would still allow the suspension to move freely and opperate as designed. Click on the button below to see the specific design theory. Here are the finished traction bars. They take up little room are effective and will be entirely hidden after the bed and running board splash panels are installed. This picture shows a good view of the transfer bracket installation. They need to be strong so these are made of 3/16" steel plate. You can see that the shape of my brackets don't match the design in the article. That's because I had some unique requirements. The most obvious was that under breaking they need to be able to tuck up inside the running board bracket. 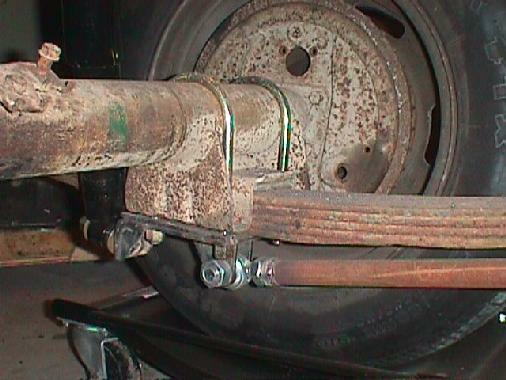 Don't forget to take into account the fact that breaking has exactly the opposite effect on the twisting of the axle as acceleration does and you have to allow for uppward movement as well. This picture shows the spring pad installation. It is easiest to remove the spring pad to do the welding rather than weld on your back. A more detailed view of the spring pad installation. Don't skimp on the size of the rod ends. Use 3/4" as a minimum.